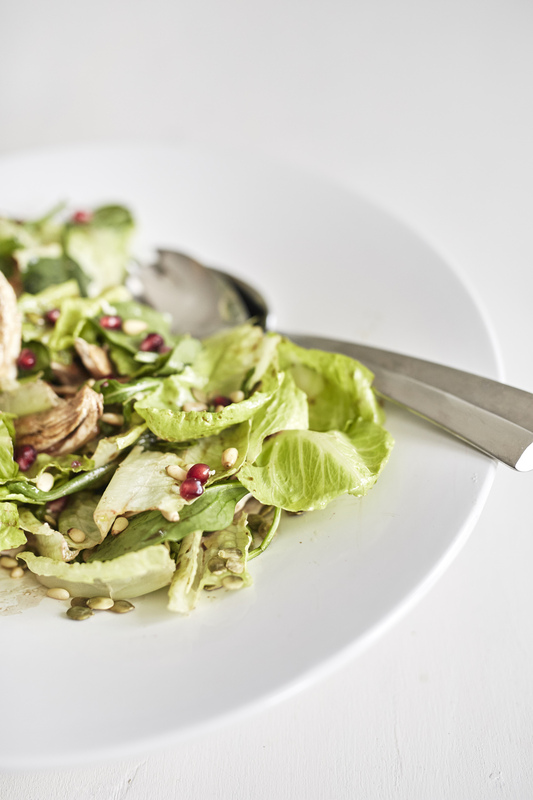 This chicken salad is super easy and quick. I joke that this is my ‘Pantry Salad’ as use any leftover veggies, herbs or protein that I have in the fridge! I like to make it whenever I'm in the mood for a light and healthy lunch. The simplicity of this salad makes this a yummy option to serve for a large group, so think about this recipe the next time you have guests over! Cut chicken fillets into strips and grill until cooked through. 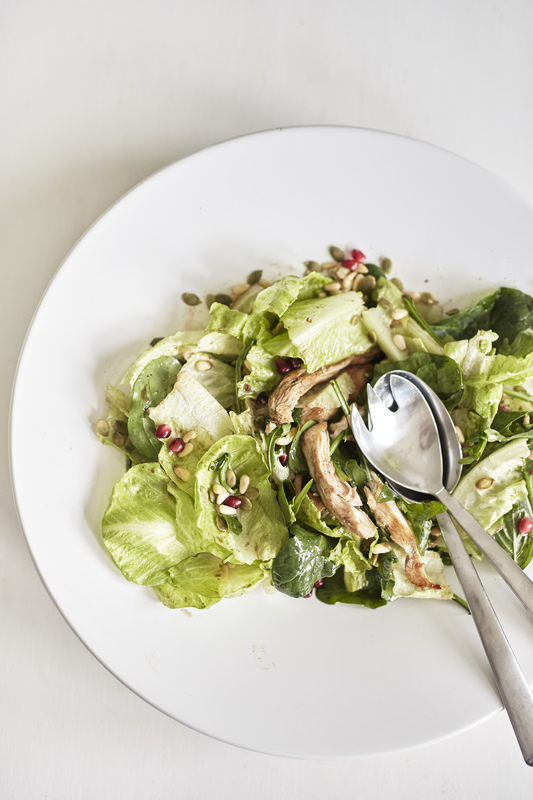 In a large salad bowl combine the washed cos lettuce, roughly chopped mix of fresh herbs, pomegranate seeds and Sicilian olives. Drizzle over oil and vinegar and season with salt and pepper to taste. Toss and serve.